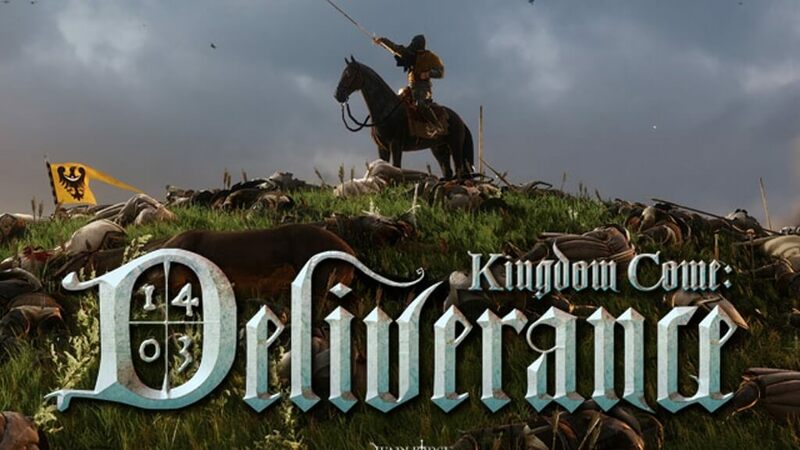 And I share with you my analysis of a game that I finished in early March: Kingdom Come: Deliverance. 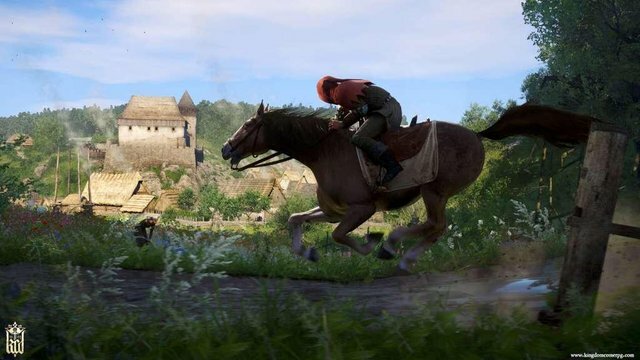 Kingdom Code: Deliverance has created expectations since it got funding on the Kickstarter. It's an ambitious RPG, a medieval-era simulator that dispenses fantasy elements, all with the aim of delivering a credible player experience. What we found was an expansive game, a game with some elements in which we must recognize the tremendous work of Warhorse Studios. The credibility of the atmosphere of this world is impressive, filled with some interesting characters, and it is an adult game, without any shred of irreverence or extravagance, something that we rarely find in a video game. I was aware that this game would be realistic, and so it was since I am adept at the two types of RPG: fantasy and reality. 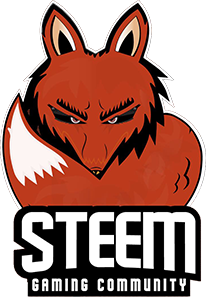 It is a trend that has been registered in this industry, a reduction of the solo and linear adventures in favor of the games in the open world, in which the main missions are crossed with secondary missions, quests of all the species, formats and shapes that prolong as an endless morning. The idea is to create ever wider and more ambitious worlds, open to deep and drastic exploration, associated with a meaningful system construction. The player submits to an inescapable reality from which he hardly escapes. Just consider the latest developments in the Zelda and Mario series, to realize the growing importance of large maps. Producers compete for the size and size of the adventures, each playing on their terrain, but it seems that few, if not rare, really reflected on the timeliness of realism. What we can do in the simulation we have already seen in some sub-genres. 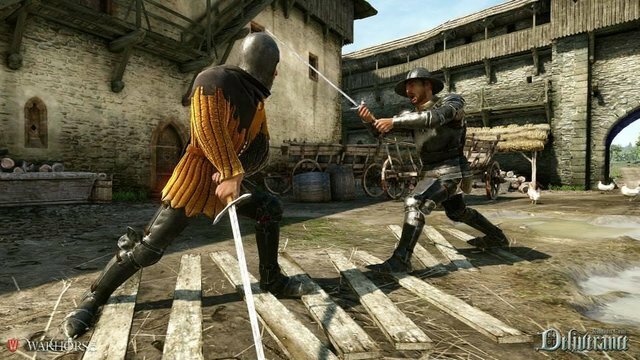 From great battles in strategy games (RTS) to armed combat (Bloodborne and Dark Souls), high-quality experiences proliferate, delimited in the gameplay factor. It is easier, incidentally, to begin by giving weapons and supernatural powers to the heroes, raising their exponent of skill, than learning to fight with a wooden sword. In medieval games, this cross between domains, between the natural and the supernatural, is frequent. The Witcher 3 is particularly notable in this catch and influential, as was the Morrowind series. 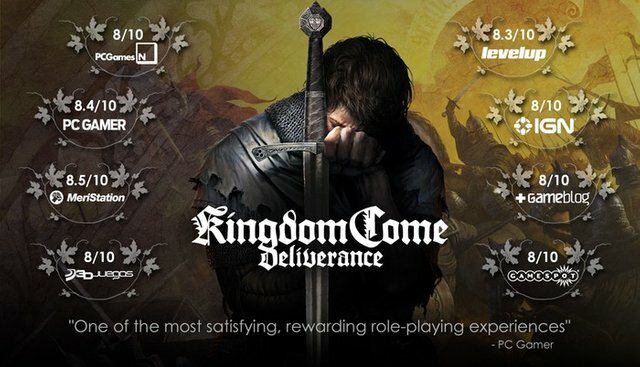 From its wealth and vastness, some of the most impressive missions and quests were projected, albeit in a balance of forces with the writer Andrzej Sapkowski, the meritorious and distinguished writer without whom the game would not be possible. Bethesda, with Fallout and Morrowind, also excels at creating open-world games. Kingdom Come Deliverance, produced by the Czechs of Warhorse Studios, is the result of the success of the games in the open world, a generalized trend that led Daniel Vávra (former producer of 2K Czech), the director of the game, to believe in the success of a campaign created from the meeting of investor funds and fans. He wanted to create a medieval adventure that could proceed not by the dimension but by the realism and naturalness of events, composed by a very faithful and descriptive view of what was, at the dawn of the fifteenth century, the military and political side in the center of Europe, describing with the social component. For a studio so small, untested to ambitious productions and only at the level of the greats, Warhorse acts almost like a Trojan horse, subjecting itself to the vulnerability and sharp edges of a project that is perhaps too bold for its capabilities. 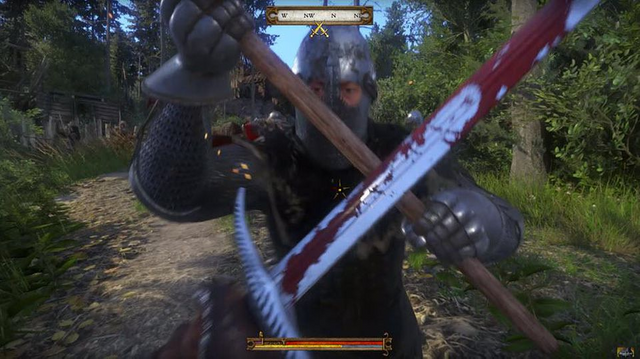 Kingdom Come Deliverance may well present itself as the most realistic medieval adventure in role play and action format. We can think of a Witcher 3 as an influential game in structure and as an open world, but this game is different right at the head, by throwing us to the last place of the carriage. If we want to get ahead as a hero we will have to sweat and work immensely. In this game we do not start as a superhero, nor do we have great powers at our disposal. We are a peasant, the son of a blacksmith who, as such, is subjected to mundane tasks, almost trivial and of little complexity. If we ever intend to command an army or even occupy a relevant position in court, the road is large and full of obstacles. This is the challenge of Vávra's life, making it possible and, more than that, producing quality in a work whose size seems to be within reach of only a handful of studios. The success of the Kickstartercampaign demonstrates the success of the Czech producer's view but does not automatically validate the expected result. From the initial heavy loading until the later breaks in the transitions between cinematic and gameplay, as well as some bugs and immense "pop up", that someone wanted to shove the Rossio in Betesga. These remarkable repairs do not prevent the highlighting of the merits of KCD, especially the realism and the absence of the supernatural in the modeling of this special period of fifteenth-century history in central Europe. 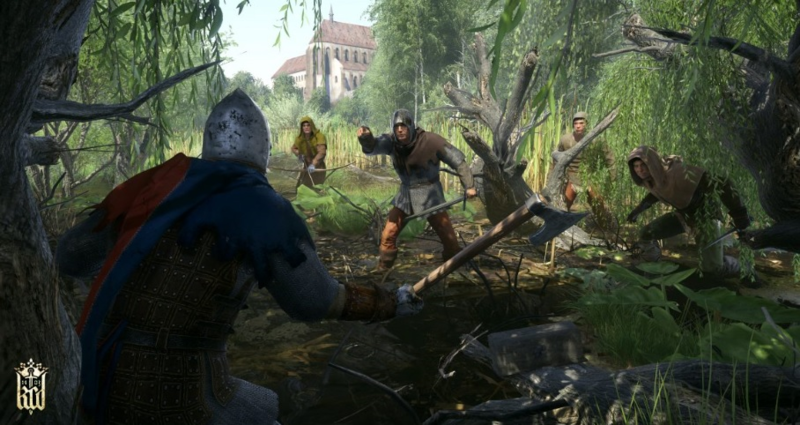 Initially, KCD gives signs of escape to most of the places revisited by other titles in the open world, opening "tutorials" in quasi-trivial missions like gathering raw materials to forge a sword or to obtain beer in a tavern. What interest does it have? The question seems plausible. It is worth peace and quiet, reigning in the early hours, in a learning way, but only after the first war and turnaround did we follow Henry - the "peasant" - with other eyes, discovering charms not only in a story that goes beyond fine (if they were edited in a book I bought it), it offers quests that are paradoxically discarded in other productions because they are apparently not as essential as learning to read or invading private property in order to obtain a rare object with which we can pay a debt . This mundane and simultaneously realistic arrangement offers an unusual sense of progression, precisely because of the brake on our rise in ranking. We start from below and stay there. Like a pig that can not escape from the "pigsty," Henry does not seem too bothered by his lack of ability to wield a sword or successfully shoot the bow, even if he intends to avenge his parents' death and that is, in the end, the great the motto of this incredible campaign that ends a deep visit to the fifteenth century. In a period marked by great instability of the monarchies, constant battles and disputes over power, the region of Bohemia, situated in the heart of Europe, is rich in resources, culture, and a touching beauty. It awakens the interest of ambitious rulers such as Sigismund the Red Fox, King of Hungary, who, upon learning of the ascent to the throne of the Wenceslas, the son of the great emperor Charles IV, successfully moves his troops, attacking without any mercy, villages and fortifications, in what appears to be a stroke of genius but also a bloodbath. Henry is taken by surprise and sees his parents pierced by the sword: the spilled blood runs in his veins. Henry - the hero -, who would say. Also, a character coming from a small village, a wandering that makes the agrarian an opportunity. His craziness for bickering and other skills is a temptation by the devil, walls with morals and ethics in a series of meetings that lead us to choices and decisions that impact the world around us. There is no character editor. Henry is just like that, that commonplace male figure, a poorly clothed, bloodstained, broken and poor, increasingly worn as days go by. We only see your face when you open a kinematics. The first person perspective seems to ease our sights. Carrying your hand in your pocket, money does not abound and as such are imperative missions that provide a way to receive. Alternatively, they can exchange things they no longer need a merchant. Money is essential if you want to have food so that you do not end up weak, on an empty stomach and with the feeling of a mouse in your belly, pale and without resistance. They may steal, invade private property and open safes using the "lock pick" system, but goods can be identified and as no one intends to become a fence and incriminate, they risk being identified and seeing the day come to an end. early on a cell bank. The degree of minutia is high. They can smash deals, haggle over prices, and even become a master of the lip. There is a system that lets you define what you are willing to pay or offer for an object of your interest. With so many options and rules, the codex is a well-crafted instruction manual. In it find all the "tutorials" and get rid of all doubts after a quick consultation. It is amazing how much content is introduced over the first few hours. Nor are the secondary and major missions concerned. The role play structure involves several attributes, at combat level and character personality, with decisions that affect the interaction with other npc's. The organization and design of the map is very effective. It may seem confusing at first, but in the short term it is practical and very intuitive to use, but it requires all of our commitment through a sometimes prolonged contact. They can not record the game at all times and the automatic recording process is no more than regular. At the end of the main quests, the game automatically records, but only in those moments. If they are in the middle of a mission and want to leave the game without losing everything they have accumulated, they will have to drink an alcoholic product that is not easy to find and besides costing some coppers, it leaves you in a state of drowsiness. The look becomes diffused and the legs twitch. But neither are the effects of alcohol that numb the senses. Hunger and fatigue create additional difficulties and we easily lose our senses if we do not guard food for the most demanding missions. KCD offers much of what we can expect in an open world game. There is a day-night cycle, a time to rest and recover strength in an improvised bed, which may well be a barn or a room of a villager who does not mind our presence (we can even eat from his pot). The map is large, filled with dirt roads, hills, villages, picturesque villages, towns, castles, and fortifications. The delay of a great journey on foot can be minimized by the use of the horse or even more quickly by the fast travel points through which we observe the automatic movement of our character on the map. Along the way, we can find vagabonds or thieves willing to ruin our day by demanding that we give them a monetary sum under penalty of attacking us. It is at this moment that we can use the sword and our best combat exercise. 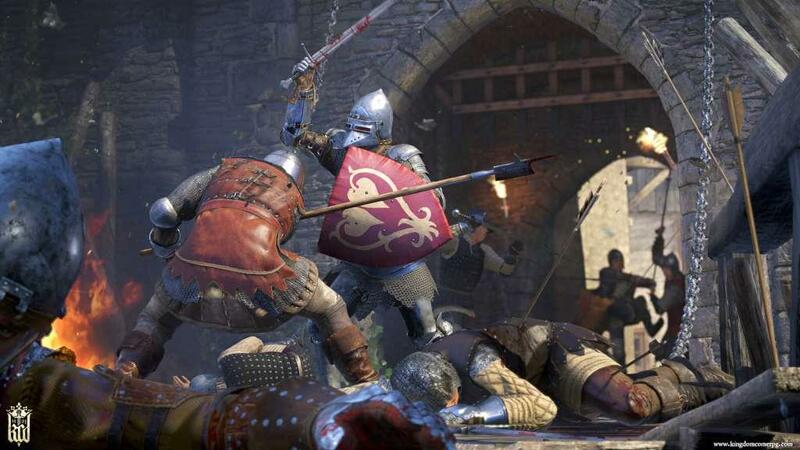 The art of combat in KCD requires training, practice, and patience. The producers' preoccupation with creating a somewhat complex system based on a link between attacks, counterattacks, elusive moves, and a unidirectional strikes-the note of realism-resulted in a system that is left to nothing by simulation. On implementation, the result is not as satisfactory as we would like it to be. It is evident from the initial lesson that the above-average difficulty was found, but we hoped that the system could become more practical. This does not happen and we often get the feeling that a lot could be done to make our actions better. The same thing happens with archery, something fragile and inaccurate. Only in very special circumstances did we get the best results. There was an effort to respect as much as possible the difficulties of the archers and knights, with their heavy swords and axes. The advantages and disadvantages are necessarily reflected, but not always the best physical sensation is transmitted, as if there were some latency in the blows. The characteristics and abilities of the character are amenable to evolution depending on the decisions taken in important encounters. We can instill a moral and ethical code in the character, responding in this way in the time limit given to us, choosing the option that seems more correct. The deviant temperament will give a different evolution to the character and adversely affects its presence in the world, opening up frequent conflicts and a constant wave of opposition, conflicts and even wars. It is the regime of fear and imposition that sets in as opposed to the peace and progress of kingdoms. The world is alive and dynamic. 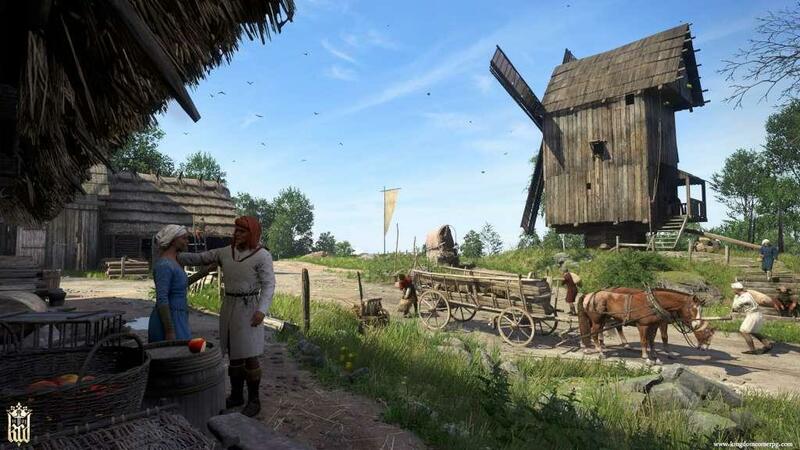 There is a very realistic description of that typical feudal and medieval environment, especially in the organization of the missions. The main ones take us to contexts of conflict and concrete positions in a demand that has its peak in our formation of the character. On the other hand, secondary missions, many of them pleasant and based on different objectives, translate much of the experience in society in the fifteenth century, reflecting mundane, almost trivial aspects. The pace is slow and there is a whole minutia that can ultimately lead to despair. With so much emphasis on realism, one can not expect anything else and this reveals the singularities of this KCD. Note for the beautiful landscapes and for a remarkable art, in tune with the visual descriptions and works left by the artists who lived the time. The soundtrack presents good themes. Graphically, this is a Herculean work, which has both promising and disappointing. Let's say that with more production, perhaps a more equipped technical team and other values in the budget, far could have gone the Warhorse. Frequent bugs, loss of textures and an ever-present "pop up" all highlight the difficulties in making the game operational. Despite the visible and almost always negative aspects, there is no escaping the artistic brilliance, the beauty of the castles and the definition of the region. We record in the memory the best moments, without ceasing to suffer from the technical performance that is less than desirable. The heavy initial loading almost brings us to tears every time we start a match, while we are forced to watch the same initial scene by watching the loading indicator in a slow progress. After the options come to another loading until finally, we wake up in the middle of the medieval world. KCD could be just another game in the open world, perhaps less risk-based and limited in ambition. Daniel Vávra and Warhorse Studios wanted to run on the thin rope and hold true to their vision for a medieval role-playing game that transpired pore realism, an adventure as genuine and detailed as possible of this distant but simultaneously tempting fifteenth century, without a shadow of the supernatural. The slower but at the same time realistic and conditioned progression seems to activate in us an alert mechanism. Until we feel acclimated to the purpose and vision of the authors still run a few hours. With a clear understanding of the structure and the narrative framework (it concludes beautiful moments of comedy with well-written dialogues), we see the merits of this very particular and incisive medieval campaign, which, even with its technical difficulties, fulfills a goal that other producers have left unfulfilled. It is fertile ground that the warhorse did not disapprove. Not indicating that the content you copy/paste (including images) is not your original work could be seen as plagiarism. Repeated plagiarized posts are considered spam. Spam is discouraged by the community and may result in action from the cheetah bot. If you are the author, please reply and let us know! I'm very happy Dan Vavra did as well as he has with Kingdom Come: Deliverance. It's really awesome to see an independently funded game do so well! Congratulations @t-miles! You received a personal award!